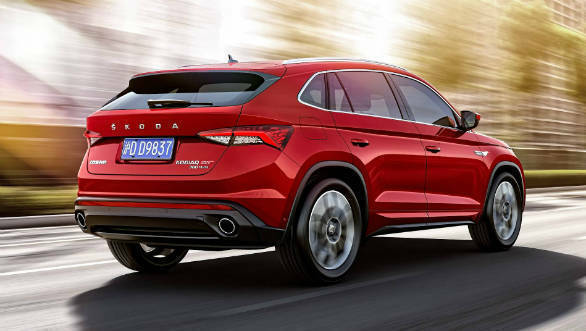 Skoda has unveiled its new flagship model for China, the Skoda Kodiaq GT. The Kodiaq GT is a coupe-SUV take on the more traditional Kodiaq SUV sold by Skoda worldwide. This model will be available only in China and will sit above its other SUVs like the Kamiq, Karoq and Kodiaq. Stylistically, the front of the Kodiaq GT doesn't diverge from that of the standard car, except for a new, more aggressive front bumper. The biggest changes are from after the B-pillar. The roof slopes downwards heavily, there is more rake to the rear windscreen and the hatch is now is a more sculpted design. The tail-lamps are new as well and are a more striking example of Skoda's crystal-inspired design theme. The new double-barrel exhausts and rear bumper round off the changes. The interiors will be carried over largely unchanged but will feature new sport seats, the usual connectivity options and an all-digital instrument cluster, like the one in the Kodiaq RS. Powertrain options will include a 2.0-litre four cylinder turbo petrol good for 223PS, available with AWD and mated to the seven-speed dual-clutch automatic. A lower-spec FWD version will be powered by a 189PS version of the same engine. 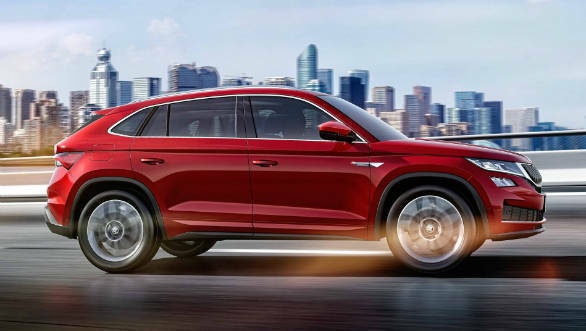 The Kodiaq GT looks to be fit for buyers who wish to enjoy the benfits of an SUV but are ready to forgo some of the practicality for the sake of a more stylish look. This should also attch the massive market that is the young Chinese car buyer to Skoda. 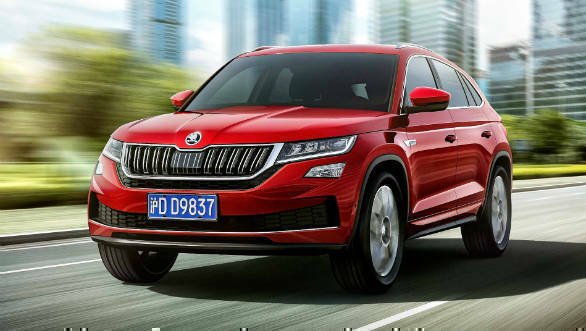 The Kodiaq GT will be unveiled at the Guangzhou Motor Show from November 16 to 25.